I just checked on Ravelry and my swap partner has recieved her gift,so I can safely write about it here. 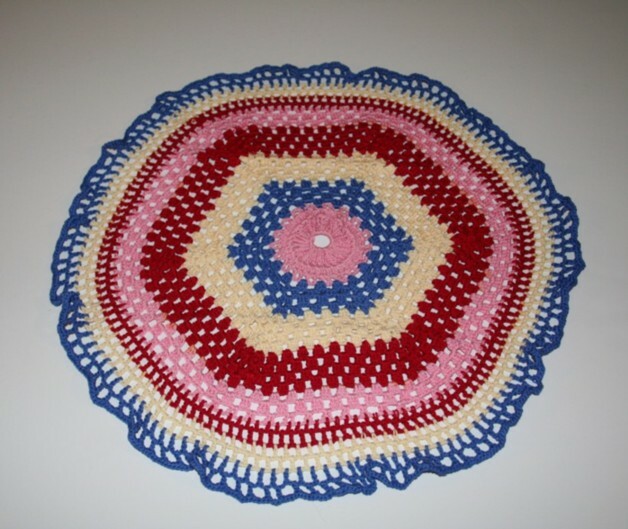 Its a table topper.The pattern is my grandmother’s.She has made so many of these-for her own house,for my parents’ home,for my aunt’s home,for her friends and colleagues.She made the first one using leftover yarn scraps but,it was so pretty and quick,she made many more. I used Anchor knitting Cotton thread and size 1.5mm hook. Previous Post Guess who got lucky today? ?